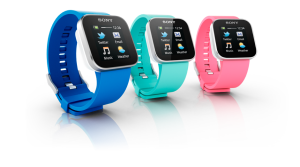 Sony’s Open Source Smartwatch? Not yet. “Sony Smartwatch now open-sourced“? “takes wearable tech into open-source territory“? It’s a shame this is almost entirely untrue. My initial excitement really cooled when I started digging around the Open Smart Watch project page. The project is far from what Venturebeat labelled a twist in the source hardware movement. To Sony Mobile’s credit though, their content doesn’t mention “open sourcing” just “opening” – lazy tech bloggers expanded it themselves. 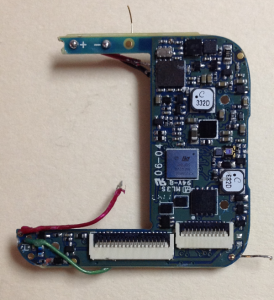 The technical information released so far is a “Hacker Guide” list of onboard chips and important pin connections and a guide to putting the watch into DFU mode to upload a new firmware. This is great, and it’s a lot more information than was available a week ago. For example, a reverse engineer derived a very similar set of information about the Sony PS3 move controller without any privileged access. It’s neat Sony are openly publishing this, but it’s just the tip of the iceberg of available data. The “Hacker Guide” links to technical datasheets, all already published online. In fact, the link for the Cypress touch sensor chip is a link to a copy hosted on the third-party site alldatasheet.com rather than an official manufacturer’s source. Most disappointing is the “Hacker” information for the Bluetooth/FM radio chip, probably the second most complex and useful chip after the main microcontroller. The linked information is a high level marketing summary and a basic block diagram, and it doesn’t look like ST-Ericsson release anything more detailed (most Bluetooth devices fall under this pall of NDA/restricted access.) Some web searches turned up a slightly more in-depth 6 page “data brief”, but nothing detailed enough to allow you to write software that interfaces with the chip. I had some high hopes that some part of the firmware source might be published. Even if the Smartwatch apparently runs a proprietary RTOS so can’t be open sourced, could the Smartwatch-specific “application” source be released? This would demonstrate how to interface with the Bluetooth chip, and maybe some other details. Unfortunately I found a comment by Jerker Lindgren Götsten from Sony Mobile saying that “we will not be able to publish the source code for the firmware due to legal and IPR reasons“. Chances of Bluetooth integration would seem low, without fully reverse engineering the current firmware behaviour. So my initial estimation of this was very cynical – Sony sees poor sales of product, marketing convinced to try “opening” as a goodwill effort and a last ditch attempt to turn it around, uncritical tech blogs laud “open source” efforts. … and they’ve apparently asked Arduino to help release a toolchain and boot images. If we’re very lucky Arduino might have the clout (and open source cred) to tease out some more technical details from under the cloak of NDA. At the very least, it seems like someone in Sony Mobile (Jerker Lindgren Götsten, perhaps?) sees the potential for these devices if more information is freely available. Jerker promised in a comment that “The article was just a first step towards opening up the SmartWatch, more details will follow as the project progress.”, and I really hope that’s the case. Attitudes may finally start to change if there are examples of tech juggernauts like Sony releasing their iron grip on technical data and (gasp!) things going well as a result. As I’m a sucker for this kind of thing I did some digging and there is actually a little bit of source code available for the STLC2690 on Android/Linux. The low level driver layer was submitted to Linux staging but rejected, and the “Snowball” ST-Ericsson development board project includes bluez/hcidump sources that presumably support STLC2690 (I think that chip was onboard), plus the Snowball Android source download contains a bunch of other Git repos, including one with the binary blob “firmware” that the STLC2690 requires to run and another with the extensions for the FM radio. Ironically that Snowball project is being shut down a week from now, so pretty soon none of this will be directly available. Hey, did you by any chance snapshot those bits for the BT controller? I’m coming to this a little too late, will have a watch soon but it only really makes sense as a BT companion to my mobile tablet. I’ve sent an email to the address you supplied in the comment. Thank you, Angus! Very good article. I really hope that Sony still open source firmware. Andrey, Russia, Moscow. Not sure if anyone still works with the SmartWatch open source stuff but I just discovered it and have been trying to implement more of the functions. Could you send me any firmware or information you were able to find from those links? I finally noticed that you had replied to my question for the firmware you posted above. Ive tried searching for the exact file names above but everywhere I look are just dead links. Could you possibly post the files one more time?